BioXgel™ is a product developed from the components present in our plasma, these components allow us to obtain a regenerative 3D matrix of autologous nature (where the patient serves as its own donor), of the highest quality, which has among its components, growth factors. these factors are in combination with an optimum concentration of oligoelements, like magnesium and zinc, to support the cellular processes of self-healing. This combination also enhances the sustained release over time of exosomes, derived from these platelets, and favors the self-assembled organization of a fibrin matrix, which by its 3D design, functions as a temporary scaffold. 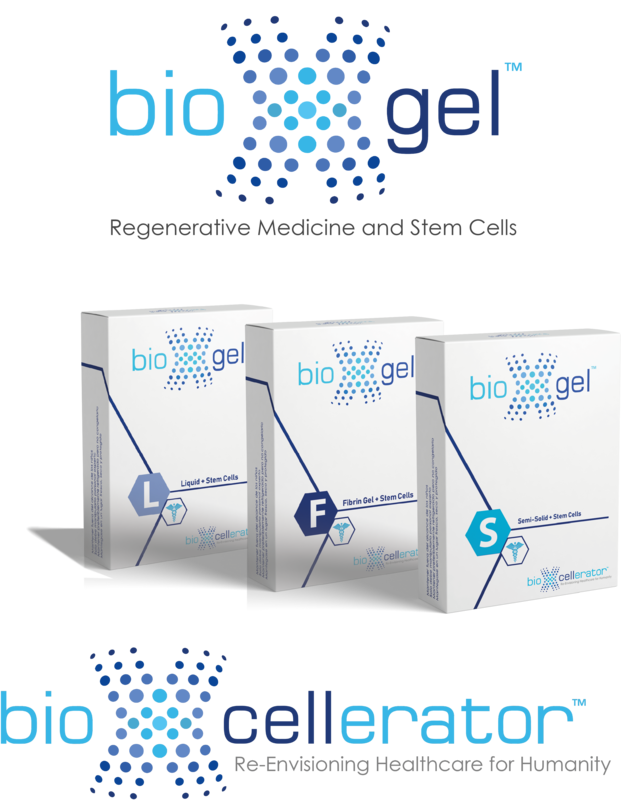 The appropriate combination of this set of regenerative elements activates biological processes such as cell proliferation and differentiation in the tissue where it is implanted, thanks to the chemotactic property that BioXgel™ presents. This property is the capacity of activation and induce migration of resident stem cells in our tissues, as well as of progenitor cells with regeneration potential, to the place of injury. BioXgel™ can also be combined with Stem Cells, increasing the autologous regenerative properties described above, with perinatal stem cells, obtained by fully standardized and biosecure processes, which are carried out in the BioXcellerator Laboratory. The combination of these two products allows enhancing the immunomodulatory and regenerative capacities of these cells with the temporary scaffold function of BioXgel™, in those tissues where, due to various genetic, nutritional or own processes of tissue aging and wear, they have significantly lost their self-regeneration and self-healing capabilities that naturally exist. © Copyright BioXcellerator. Todos los derechos reservados.